Steward Bank has announced the launch of a multi-million-dollar Health Care fund to facilitate the recapitalization and modernization of commercial health care facilities in Zimbabwe on the sidelines of the Zimbabwe Medical Association (ZIMA) 2018 conference being held at the HICC. The banking subsidiary of telecoms giant Econet Wireless, which in the past year has become one of the top 3 banks in the country by profitability unveiled the $100 million fund which is expected to stimulate the resuscitation of the country’s healthcare facilities which suffered years of neglect due to the deteriorating economic environment in the past decade. The bank which has traditionally been conservative in lending appears to be making a big push in directing its lending activities towards previously ignored productive sectors. 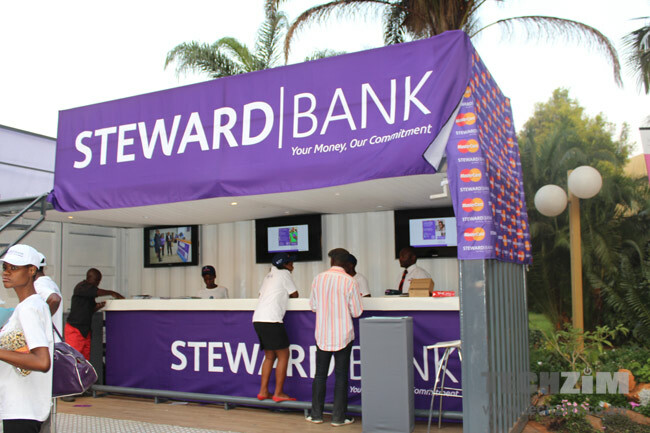 Earlier in the year, Steward Bank announced its plans to raise $250 million to fund Solar Energy Facilities in partnership with Distributed Power Africa (DPA) another Econet subsidiary. In the past week, the bank unveiled its Diaspora Mortgage Scheme in London, having recently completed development of 200 housing units in Ruwa fully equipped with services such as solar, gas facilities, wifi, Kwese satellite system and home surveillance system. The housing scheme, which is one of many under development by Steward Bank is targeted at addressing the rising demand for quality houses in the country as more investors angle to take opportunities in the property sector. The Healthcare Fund is expected to bridge the gap in the quality of healthcare services provided to every Zimbabwean in pursuit of sustainable and equal health for all. The fund is targeted at the provision of funding to Hospitals, Clinics, Medical Laboratories, all Specialist Practitioners: Gynecologists, Physicians, Surgeons, Opticians, Pediatricians, Dentists, Physiotherapists, Rural HealthCare Development, Pharmaceuticals, Diagnostic Centres, and Occupational Therapists, among others. Products & Services available under this fund include Asset Financing for Equipment, Commercial Mortgages, Working Capital, and Funding distribution of medicines through rural pharmacies. The Commercial Mortgages facility provides funding for the outright purchase of finished buildings or land, construction, as well as renovation of existing medical facilities. This is aimed at both increasing the number of healthcare facilities and improving the quality of services offered by Healthcare providers in both urban and rural areas around the country. The Asset Financing for Equipment will facilitate the purchase of medical equipment providing medical practitioners with the capacity to import the latest medical technologies and modernize our private healthcare sector. The Healthcare Fund will also facilitate Working Capital to medical institutions and service providers to alleviate cashflow pressures and ensure maximum business viability and sustainability. This facility will assist in the financing the restocking of drugs and carries a maximum tenure of 12 months. In addition, the Bank will also discount claims for Steward Health for immediate settlement. The Steward Bank Healthcare Fund will provide medical practitioners with access to funding for the much needed rehabilitation of medical facilities and access to new equipment which in turn will result in providing better health care for every Zimbabwean. Awesome and what a visionary strategy this is! It goes without saying leadership at this institution are true philanthropists! Don’t mistake this for philanthropy… It’s too make money in a sector that is very profitable… If it was a donation they would have put in gvt facilities… Which actually where the money should go… Because there is no public facilities private will charge what ever price they want and thus is the money that steward is after… It’s actually brilliant.. They are after all a bank not a charity.